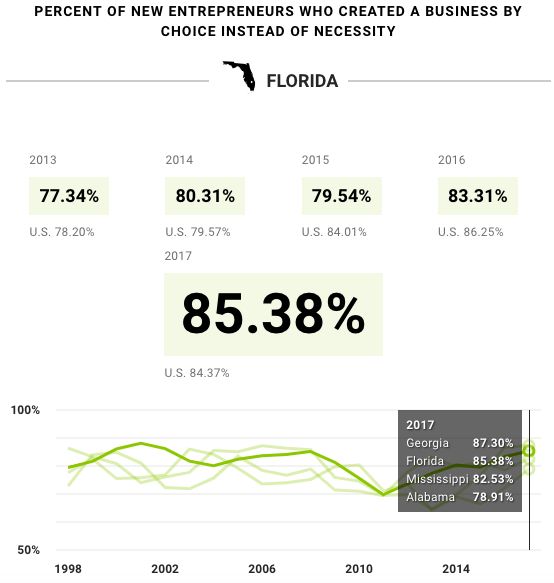 Bottom Line: Florida is the 3rd most entrepreneurial state in the nation according to the Kauffman Foundation's Early-Stage Entrepreneurship Index (KESE), which aggregates entrepreneurship rates, jobs created by startup, entrepreneurship by choice (rather than necessity), and survival rate after one year. While Florida leads its geographic peers by its KESE score, it does not lead in every component. For instance, Georgia has a higher percentage of new entrepreneurs who create businesses by choice instead of necessity. And Alabama and Mississippi have a greater share of startups that are still active after one year. 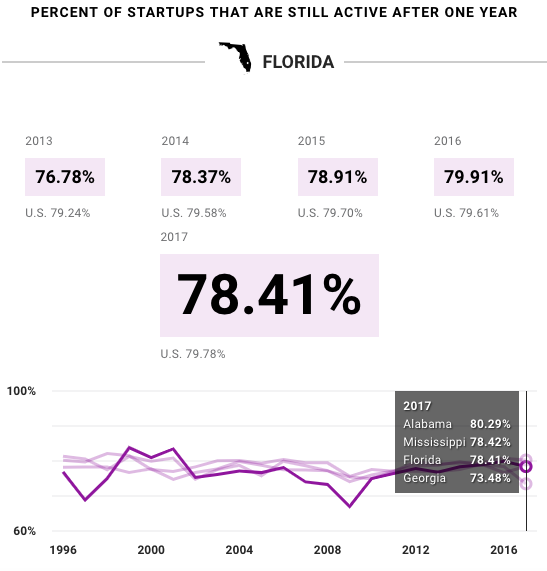 Florida does lead its geographic peers in entrepreneurship rate and the average number of startup jobs created. 42 out of every 1,000 Florida residents start a business each month, helping make Florida one of the most entrepreneurial states in the nation. 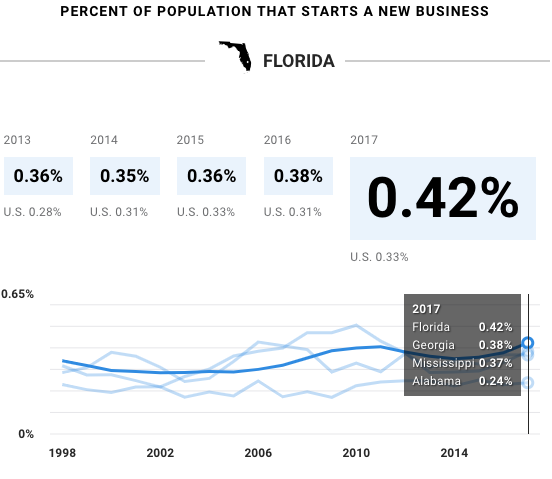 85 percent of Florida entrepreneurs create their business by choice, rather than necessity, below the 87 percent rate of nearby Georgia. 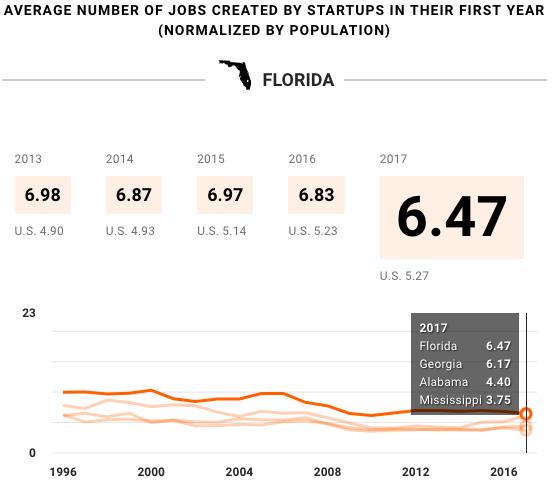 Florida creates an average of 6.5 jobs per startup -- a significantly higher rate than its geographic peers.